A two story magnificent home located in a highly desirable neighborhood. As you enter the front door the beautifully laid Herringbone tile that spreads through the large living room and up the stairway will catch your breath. Downstairs is a very open floor plan with a half bath and under the stairs storage. The generous sized kitchen boasts of granite counters, a large pantry and a laundry room with large capacity LG washer and dryer. Upstairs you will find a large master bedroom with an en-suite bathroom and walk in closet. There are 2 other bedrooms and a loft perfect for an office, media area or a play area. The yard is expansive with multiple seating areas including a concrete pad with a 220 outlet perfect for a hot tub! 12 month home warranty is included. Listing provided courtesy of Erika Okinga of Morningstar Legacy: (575) 556-9228. 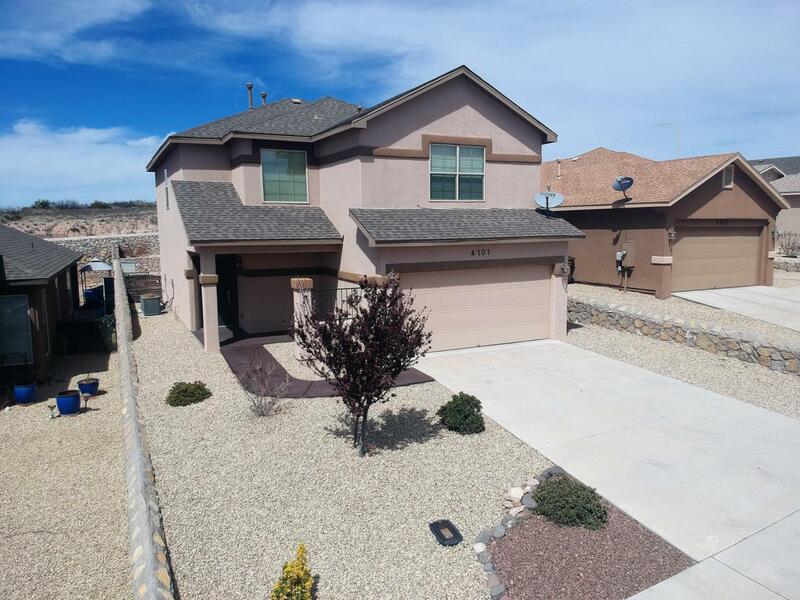 All listing information was provided by Southern New Mexico Multiple Listing Service.